Grigori Sokolnikov, the son of a doctor, was born in Poltava Oblast on 15th August, 1888. The family moved to Moscow and later Sokolnikov settled in St Petersburg where he met Leon Trotsky. The two men were inspired by the weavers' strikes in 1896. The following year they formed the underground South Russian Workers' Union. Trotsky later recalled: "I drafted our constitution along Social-Democratic lines. The mill authorities tried to offset our influence through speakers of their own. We would answer them the next day with new proclamations. This duel of words aroused not only the workers but a great many of the citizens as well. The whole town was alive with talk about revolutionaries who were flooding the mills with their handbills. Our names were on every tongue." In 1905 Sokolnikov joined the Bolsheviks faction of the Social Democratic Labour Party. Sokolnikov was arrested and served time in prison until going into exile where he joined Lenin, George Plekhanov, Julius Martov, Vera Figner, Fedor Dan, Gregory Zinoviev and Lev Kamenev in Paris. Lenin's biographer, Helen Rappaport, the author of Conspirator: Lenin in Exile (2009): "As Lenin surveyed his shrinking Bolshevik entourage of thirty or so who came out and went over the next three years in Paris, he was forced to face up to the possible demise of his own faction... Lenin could only ever look on political variance to his own dogmatic view as a threat to his vision for the party and thus compulsively sought to alienate detractors from the movement." In 1914 Russia became involved in the First World War. Lenin thought the best way to achieve a socialist revolution was to keep the war going and sent Inessa Armand to the International Socialist Bureau conference in Brussels "to do battle with such large figures" such as Karl Kautsky, Rosa Luxemburg, George Plekhanov, Leon Trotsky, Julius Martov, Emile Vandervelde and Camille Huysmans. On 26th February Nicholas II ordered the Duma to close down. Members refused and they continued to meet and discuss what they should do. Michael Rodzianko, President of the Duma, sent a telegram to the Tsar suggesting that he appoint a new government led by someone who had the confidence of the people. When the Tsar did not reply, the Duma nominated a Provisional Government headed by Prince George Lvov. The High Command of the Russian Army now feared a violent revolution and on 28th February suggested that Nicholas II should abdicate in favour of a more popular member of the royal family. Attempts were now made to persuade Grand Duke Michael Alexandrovich to accept the throne. He refused and on the 1st March, 1917, the Tsar abdicated leaving the Provisional Government in control of the country. Lenin was now desperate to return to Russia to help shape the future of the country. The German Foreign Ministry, who hoped that Lenin's presence in Russia would help bring the war on the Eastern Front to an end, provided a special train for Lenin and 27 other Bolsheviks, including Grigori Sokolnikov, to travel to Petrograd. On his arrival he became co-editor with Joseph Stalin of Pravada. On 3rd April, 1917, Lenin announced what became known as the April Theses. Lenin attacked Bolsheviks for supporting the Provisional Government. Instead, he argued, revolutionaries should be telling the people of Russia that they should take over the control of the country. In his speech, Lenin urged the peasants to take the land from the rich landlords and the industrial workers to seize the factories. The Bolshevik Committee was reorganised. It now included Grigori Sokolnikov, Lenin, Gregory Zinoviev, Lev Kamenev, Alexandra Kollontai, Joseph Stalin, Leon Trotsky, Yakov Sverdlov, Moisei Uritsky, Felix Dzerzhinsky, Andrey Bubnov, Alexei Rykov, Nickolai Bukharin, Viktor Nogin, Ivan Smilga and V. P. Milyutin. Lenin then set about convincing them that the time was right to overthrow the new government. On 19th July, Alexander Kerensk gave orders for the arrest of Lenin and other leading Bolsheviks. The Bolshevik headquarters at the Kshesinsky Palace, was also occupied by government troops. A spy in the Ministry of Justice discovered what was going to happen and Lenin was able to escape to nearby Finland where he was hidden by a secret socialist, the Helsinki chief of police. Sokolnikov was at first reluctant to support Lenin's call for an immediate armed uprising. 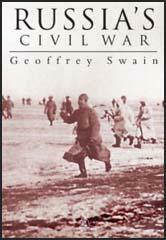 He argued that "the Congress of Soviets in itself constitutes the apparatus which we can use". However, by early October, he had grown slightly more militant. Robert V. Daniels, the author of Red October: The Bolshevik Revolution of 1917 (1967): "Dzerzhinsky and Sokolnikov tried to brush aside such concern about preparing an uprising. After all, Sokolnikov pointed out, the February Revolution had needed none. The party had sufficient forces, but it was wrong to understand the resolution as an order; the party should wait for events to give it the expected opportunity. If the Congress of Soviets decided to assume power, that would be the time to judge whether a mass move was necessary. Such reasoning was close to the dominant sentiment of the party leadership, echoed by several other speakers - and clearly inconsistent with Lenin's demand to seize power before the Congress of Soviets." The Bolsheviks now set up their headquarters in the Smolny Institute. The former girls' convent school also housed the Petrograd Soviet. Under pressure from the nobility and industrialists, Kerensky was persuaded to take decisive action. On 22nd October he ordered the arrest of the Military Revolutionary Committee. The next day he closed down the Bolshevik newspapers and cut off the telephones to the Smolny Institute. At a secret meeting of the Bolshevik Central Committee on 23rd October 1917, attended by Grigori Sokolnikov, Lenin, Gregory Zinoviev, Lev Kamenev, Alexandra Kollontai, Joseph Stalin, Leon Trotsky, Yakov Sverdlov, Moisei Uritsky, Ivar Smilga, Victor Nogin, Felix Dzerzhinsky and Andrey Bubnov. Lenin insisted that the Bolsheviks should take action before the elections for the Constituent Assembly. "The international situation is such that we must make a start. The indifference of the masses may be explained by the fact that they are tired of words and resolutions. The majority is with us now. Politically things are quite ripe for the change of power. The agrarian disorders point to the same thing. It is clear that heroic measures will be necessary to stop this movement, if it can be stopped at all. The political situation therefore makes our plan timely. We must now begin thinking of the technical side of the undertaking. That is the main thing now. But most of us, like the Mensheviks and the Socialist Revolutionaries, are still inclined to regard the systematic preparation for an armed uprising as a sin. To wait for the Constituent Assembly, which will surely be against us, is nonsensical because that will only make our task more difficult." A long and bitter discussion followed Lenin's summons to insurrection. Trotsky claimed that Lenin's proposal for immediate revolt met with very little enthusiasm: "The debate was stormy, disorderly, chaotic. The question now was no longer only the insurrection as such; the discussion spread to fundamentals, to the basic goals of the Party, the Soviets; were they necessary? What for? Could they be dispensed with? The most striking thing was the fact that people began to deny the possibility of the insurrection at the given moment; the opponents even reached the point in their arguments where they denied the importance of a Soviet Government." On 24th October 1917 Lenin wrote a letter to the members of the Central Committee: "The situation is utterly critical. It is clearer than clear that now, already, putting off the insurrection is equivalent to its death. With all my strength I wish to convince my comrades that now everything is hanging by a hair, that on the agenda now are questions that are decided not by conferences, not by congresses (not even congresses of soviets), but exclusively by populations, by the mass, by the struggle of armed masses… No matter what may happen, this very evening, this very night, the government must be arrested, the junior officers guarding them must be disarmed, and so on… History will not forgive revolutionaries for delay, when they can win today (and probably will win today), but risk losing a great deal tomorrow, risk losing everything." Gregory Zinoviev and Lev Kamenev were the main opponents of insurrection. Lenin, backed up by Leon Trotsky, insisted that the Bolsheviks should attempt to gain power. In the early hours of the morning Lenin finally won his victory. Trotsky claimed: "I do not remember the proportion of the votes, but I know that 5 or 6 were against it. There were many more votes in favour, probably about 9, but I do not vouch for the figures." On the evening of 24th October, 1917, orders were given for the Bolsheviks began to occupy the railway stations, the telephone exchange and the State Bank. The following day the Red Guards surrounded the Winter Palace. Inside was most of the country's Cabinet, although Kerensky had managed to escape from the city. On 26th October, 1917, the All-Russian Congress of Soviets met and handed over power to the Soviet Council of People's Commissars. Lenin was elected chairman and other appointments included Leon Trotsky (Foreign Affairs) Alexei Rykov (Internal Affairs), Anatoli Lunacharsky (Education), Alexandra Kollontai (Social Welfare), Felix Dzerzhinsky (Internal Affairs), Joseph Stalin (Nationalities), Peter Stuchka (Justice) and Vladimir Antonov-Ovseenko (War). Sokolnikov went to work with Trotsky at Foreign Affairs and signed the Brest-Litovsk Treaty in 1918. Sokolnikov was appointed People's Commissar of Finance and was responsible for nationalising the banks after the revolution. He also played and important role in the introduction of the New Economic Policy. In May 1924 he became a member of the Politburo of the Communist Party. However, he was highly critical of the economic policies of Joseph Stalin and described them as "state capitalist". At the Fourteenth Congress of the Communist Party in December 1925, he called for Stalin's removal as General Secretary. This call was rejected and Sokolnikov lost his place on the Politburo. In 1929 Sokolnikov was appointed as the Soviet ambassador to London. He held the post for three years. In January, 1937, Sokolnikov, Karl Radek, and fifteen other leading members of the Communist Party were put on trial. They were accused of working with Leon Trotsky in an attempt to overthrow the Soviet government with the objective of restoring capitalism. According to David King, the author of Red Star Over Russia (2010) "Sokolnikov confessed to save his young wife and son". Thirteen of the accused were found guilty and sentenced to death. Sokolnikov and Radek were sentenced to ten years in prison. 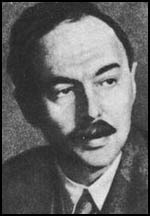 Robin Page Arnot, a member of the British Communist Party, reported in The Labour Monthly in November, 1937: "The volume of evidence brought forward at this trial was sufficient to convince the most sceptical that these men, in conjunction with Trotsky and with the Fascist Powers, had carried through a series of abominable crimes involving loss of life and wreckage on a very considerable scale. With the exceptions of Radek, Sokolnikov, and two others, to whom lighter sentences were given, these spies and traitors suffered the death penalty." Grigori Sokolnikov was reportedly killed in a prison by other convicts on 21st May, 1939. It was later revealed that he had in fact been killed by the NKVD. In 1896 the famous weavers' strikes broke out in St Petersburg. This put new life into the intelligentsia. The students gained courage, sensing the awakening of the heavy reserves. In the summer, at Christmas, and at Easter dozens of students came down to Nikolayev, bringing with them tales of the upheaval in St Petersburg, Moscow, and Kiev. Some of them had been expelled from universities - boys just out of the gymnasium returning with the haloes of heroes. In February 1897 a woman student, Vetrova, burned herself to death in the Peter-Paul fortress. This tragedy, which has never been fully explained, stirred everyone deeply. Disturbances took place in the university cities; arrests and banishments became more frequent. I started my revolutionary work to the accompaniment of the Vetrova demonstrations. It happened in this way: I was walking along the street with a younger member of our commune, Grigory Sokolovsky, a boy about my age. "It's about time we started," I said. "Yes, it is about time," he answered. "But how?" "We must find workers, not wait for anybody or ask anybody, but just find workers, and set to it." "I think we can find them," said Sokolovsky. "I used to know a watchman who worked on the boulevard. He belonged to the Bible Sect. I think I'll look him up." The same day Sokolovsky went to the boulevard to see the Biblist. He was no longer there. But he found there a woman who had a friend who also belonged to some religious sect. Through this friend of the woman he didn't know, Sokolovsky, on that very day, made the acquaintance of several workers, among them an electrician, Ivan Andreyevitch Mukhin, who soon became the most prominent figure in our organization. Sokolovsky returned from his search all on fire. "Such men! They are the real thing!" We called our organization the South Russian Workers' Union, intending to include workers from other towns. I drafted our constitution along Social-Democratic lines. The mill authorities tried to offset our influence through speakers of their own. We would answer them the next day with new proclamations. This duel of words aroused not only the workers but a great many of the citizens as well. The whole town was alive with talk about revolutionaries who were flooding the mills with their handbills. Our names were on every tongue. Still the police delayed. They refused to believe that "those young brats from the garden" were capable of carrying on any such campaign. They suspected that there were more experienced leaders behind us, probably old exiles. This gave us two or three additional months in which to work. Finally our movements were so closely watched that the police couldn't help but discover one group after another. So we decided to leave Nikolayev for a few weeks, to put the police off our track. I was supposed to go to my family in the country; Sokolovskaya, with her brother, to Ekaterinoslav, and so on. At the same time, we firmly resolved not to hide in case of wholesale arrests, but to let ourselves be taken, so that the police could not say to the workers: "Your leaders have deserted you." Dzerzhinsky and Sokolnikov tried to brush aside such concern about preparing an uprising. After all, Sokolnikov pointed out, the February Revolution had needed none. The party had sufficient forces, but it was wrong to understand the resolution as an order; the party should wait for events to give it the expected opportunity. If the Congress of Soviets decided to assume power, that would be the time to judge whether a mass move was necessary. Such reasoning was close to the dominant sentiment of the party leadership, echoed by several other speakers - and clearly inconsistent with Lenin's demand to seize power before the Congress of Soviets. 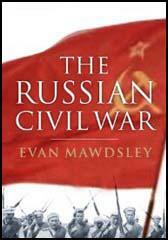 The return of the Soviet delegation to Petrograd plunged the Bolsheviks into despair and panic. They tried to save face by proclaiming the "fatherland in peril"; they appealed to soldiers and citizens to continue the fight and resist further penetration by the Germans, to dig trenches; Krylenko was ordered to destroy military stores and to blow tip ammunition factories at the approach of the enemy. But when the Germans began their advance on February 5 (18), they met with no resistance whatever. The next day, the Soviet of People's Commissars hastily dispatched a telegram to Berlin expressing its readiness to sign on the dotted line. The Germans, however, were in no hurry, and continued to capture still more territories and towns. The German High Command's answer, which finally arrived on February 9 (22), contained new and harsher terms of surrender. The Germans further demanded that the new terms be accepted within 48 hours and that the Soviet delegation leave immediately for Brest-Litovsk, where the treaty would have to be signed within three days and ratified within two weeks thereafter. The period between February 5 (18) and February 12 (25) was a most critical one for the Soviet government. In the uninterrupted sessions of the Central Committee and at various party conferences there was still no stable or sufficiently strong majority. Lenin had made his position quite clear: the attempt to ignore the real balance of power only made the situation worse; there was no choice but to capitulate; the only thing that mattered was that the Bolsheviks should retain power. But at the Central Committee meeting of February 4 (17) there were at first only five votes in support of Lenin, while six members of the Central Committee, headed by Bukharin, voted against him. After several counts, with varying results, the final vote was six (including Trotsky) in support of Lenin, one against, and four (Bukharin, Lomov, Uritsky, and Krestinsky) abstaining. An open revolt against the Central Committee and Lenin followed. The Petrograd and Moscow city and district party organizations were now joined by the Ural and Ukrainian district organizations in protesting that the Central Committee had no right to take decisions on the basis of such a small majority and should lay the questions before a party congress. Trotsky characterized the situation by noting that by parliamentary standards there were already two parties instead of one." After a heated discussion accompanied by mutual recrimination, a vote was taken. This time the result was: seven in support of Lenin's proposal to sign a treaty, four against, and four, including Trotsky, abstaining. Lenin rejected Stalin's suggestion that a new attempt should be made to draw out the negotiations. A second telegram was sent to Berlin which stated that Germany's ultimatum was accepted. Although the Central Committee was now inundated with protests and resignations, Lenin took no account of them. He put his proposal before VTsIK, where he received a more impressive majority of 116 to 84. When confirmation was received from Germany, a new delegation left for Brest-Litovsk, headed this time by Sokolnikov and Chicherin; Trotsky and Yoffe had refused to go. At Brest-Litovsk the Soviet delegation signed the treaty without discussing it or even reading the text. The terms proved even more severe than those announced in the German telegram of February 9 (22). Thus, on demand of the Turkish delegation, Russia was obliged to return to Turkey the towns of Kars, Ardagan and Batum in the Caucasus, which had been captured 70 years earlier. The treaty was signed on February 18 (March 3) and ratified two weeks later by the Fourth Congress of Soviets. The most delicate issue of all was the opposition's behaviour in the army. After Frunze's death, Voroshilov was appointed Commissar of War, as if to crown the revenge of the Tsaritsyn group on Trotsky. But Lashevich, Zinoviev's friend and supporter, was still Voroshilov's deputy. Unlike the opposition of 1923, the present opposition, after much hesitation, began to carry the struggle into the armed forces. In July 1926 Stalin exposed before the Central Committee Lashevich's doings, the semi-secret organization of the sympathizers of the opposition among the military. This was a shattering blow for the opposition. Lashevich was dismissed from his military post and expelled from the Central Committee. Zinoviev, his protector, lost his seat on the Politbureau. For the first time Stalin now kept the threat of expulsion from the party suspended over his opponents. Anxious to avert it, they retreated. On 4 October Trotsky, Zinoviev, Kamenev, Piatakov, Sokolnikov, and others signed a statement admitting that they were guilty of offences against the statutes of the party and pledged themselves to disband their party within the party. They also disavowed the extremists in their ranks who were led by Shlyapnikov and Medvedev, the chiefs of the 1921 opposition. However, having admitted their offences against the rules of discipline, Trotsky and his associates restated with dignified firmness their political criticisms of Stalin and Bukharin. 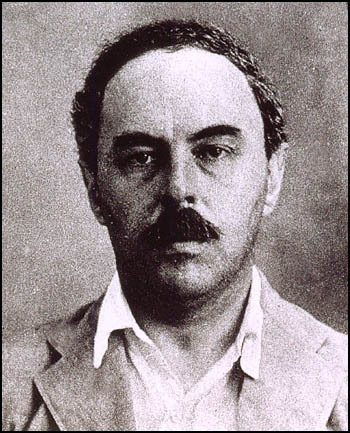 On 8 September, the Central Committee summoned Bukharin to a meeting with Kaganovich, where, along with Yezhov and Vyshinsky, he was amazed to encounter his childhood friend, Grigory Sokolnikov, a venerable Old Bolshevik, who was delivered to the room by the NKVD. The "confrontation" was one of Stalin's bizarre rituals in which, like an exorcism, Good was meant to confront and vanquish Evil. They were presumably designed to terrify the accused but also, and this may have been their main function, to convince the presiding Politburo members of the victim's guilt. Kaganovich played impartial observer while Sokolnikov declared there was a Left-Right Centre, involving Bukharin, which was planning the murder of Stalin. "Can you have lost your reason and not be responsible for your own words?" Bukharin "turned on the tears". When the prisoner was led out, Kaganovich boomed: "He's lying, the whore, from beginning to end! Go back to the newspaper, Nikolai Ivanovich, and work in peace." "But why is he lying, Lazar Moisevich?" "We'll find out," replied an unconvinced Kaganovich who still "adored" Bukharin but told Stalin his "role will yet be uncovered". Stalin's antennae sensed that the time was not right: on 10 September, Vyshinsky announced that the investigation against Bukharin and Rvkov had been closed due to lack of criminal culpability. Bukharin returned to work, safe again, while the investigators moved on to their next trial - but the cat did not stop caressing the mouse. In December 1934 one of the groups carried through the assassination of Sergei Mironovich Kirov, a member of the Political Bureau of the Central Committee of the Communist Party. Subsequent investigations revealed that behind the first group of assassins was a second group, an Organisation of Trotskyists headed by Zinoviev and Kamenev. Further investigations brought to light definite counter-revolutionary activities of the Rights (Bucharin-Rykov organisations) and their joint working with the Trotskyists. The group of fourteen constituting the Trotskyite-Zinovievite Terrorist Centre were brought to trial in Moscow in August 1936, found guilty, and executed. In Siberia a trial, held in November, revealed that the Kemerovo mine had been deliberately wrecked and a number of miners killed by a subordinate group of wreckers and terrorists. A second Moscow trial, held in January 1937, revealed the wider ramifications of the conspiracy. This was the trial of the Parallel Centre, headed by Pyatakov, Radek, Sokolnikov, Serebriakov. The volume of evidence brought forward at this trial was sufficient to convince the most sceptical that these men, in conjunction with Trotsky and with the Fascist Powers, had carried through a series of abominable crimes involving loss of life and wreckage on a very considerable scale. With the exceptions of Radek, Sokolnikov, and two others, to whom lighter sentences were given, these spies and traitors suffered the death penalty. The same fate was meted out to Tukhachevsky, and seven other general officers who were tried in June on a charge of treason. In the case of Trotsky the trials showed that opposition to the line of Lenin for fifteen years outside the Bolshevik Party, plus opposition to the line of Lenin inside the Bolshevik Party for ten years, had in the last decade reached its finality in the camp of counter-revolution, as ally and tool of Fascism.